Carefully crafted lyrics set to a mix of cinematic and raw, stripped-back compositions are the hallmark of David Spry's music that moves from gritty to intimate to free-spirited songs. A modern commentary on how some First Nations People have lost their sense of sovereignty through the systemic and continued colonisation of their spirits and lands. "Free" explores the influence of religion on Indigenous culture and the subsequent loss of traditional knowledge. Free encourages us all to think deeply, investigate issues, be informed, free-thinking and responsible citizens of the world. One of six daughters of Dr M Yunupiŋu, Dhapanbal is forging her own way in the music industry with her contemporary song songs sung in English and Yolŋu Matha. Märi Wurrapa is about the travels of the whale. In 2010 my father began writing it in Galiwinku with Baninaylil Bukulatjpi. In early 2017, Baninaylil visited my family and sung Märi Wurrapa to me. Baninaylil entrusted Märi Wurrapa to me and asked that I complete and record it. Sunshine Coast-based artist, De Greer-Yindimincarlie, is releasing her sixth album, I Feel Small, featuring six original songs which have been a labour of love to record. It took 80 takes to record this song because De broke down crying in 77 of them. Queensland girl Miette Skiller was diagnosed with a terminal brain stem tumour at 5. De discovered the Facebook site and followed the journey of this young fighter. When she passed, De wrote this. Will You Wait For Me was written as an ode to first love. It asks those who have gone before us to wait and explores the idea of everlasting love. With an uplifting composition, this song features choral-like organ and keys throughout. Theona Councillor is a WA singer/songwriter. Her strong voice will remind listeners of Tracy Chapman and invoke Sara Storer in her honest lyrical delivery. 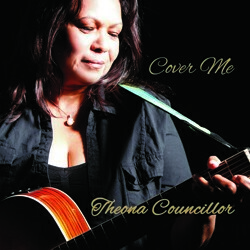 WA songstress Theona Councillor releases the title track from her forthcoming album, Cover Me, on 14 October. The beautifully crafted song shows her strong voice off and was recorded at the award-winning Soundbaker Studios in Perth. It will engage listeners around the country with its country and easy listening cadence. Seleen McAlister is the rising star of modern, female country singers with a message of empowerment and meaningful songs that are speaking to audiences around Australia. Catchy and full of meaning, I Wanna Live Like That is an anthem for living a joyous and full life. Dancing in the rain, making her mother proud and learning from mistakes. 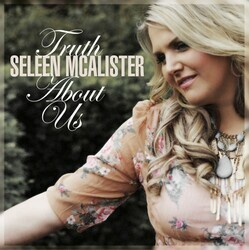 Seleen McAlister continues along the path of songs that speak volumes. , DukeBox (Duke Bailey) has kicked stereotypes to the wall, waxing lyrical about being a strong black man of Australia and youth empowerment. What's this life? Traversing bullying in the playground to gambling addictions, DukeBox spits rhymes that resonate. An easy listening unique style blending Indigenous Rock Reggae with Tropical Island Reggae. This fast-hitting band formed in Perth WA, unites Traditional and English Language into original contemporary rock/reggae rhythms. Written by Geoffrey James. Geoffrey wrote Better Life while he was living in his home country of Beagle Bay. It’s about hoping and dreaming for that “island of paradise”. For Geoffrey, making music and performing as well as recording has been a huge step towards that goal. Melding folk, traditional, country, Indigenous and classical music, Shellie Morris is one of Australia's favourite singers and performers. A song about seeing friends again. Shellie says i each other tears fall from our face because we are so happy.